WOW, She is amazing. Can't believe these are finger paintings. I checked out all of her paintings. Really talented. Oh my goodness. What talent those fingers have. I thought it was Max she painted.She is great. 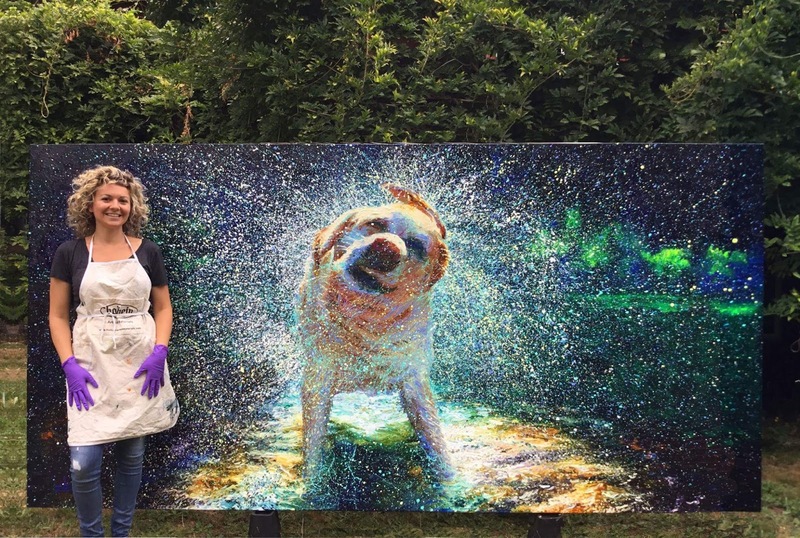 Did you see how much her paintings are? I've said it before and I'll say it again...some people have so much talent. I make painting a wall a contact sport-never mind painting picture like that one. It's so lifelike!